What strange weather it has been. Prolonged heavy rain, sharp showers, bright but harsh winter sun and cold, cold winds. All in the last few days. It has been a week of staying at home and just popping out on short outings like shopping, the library, and a quick walk around the lake. Nothing more. 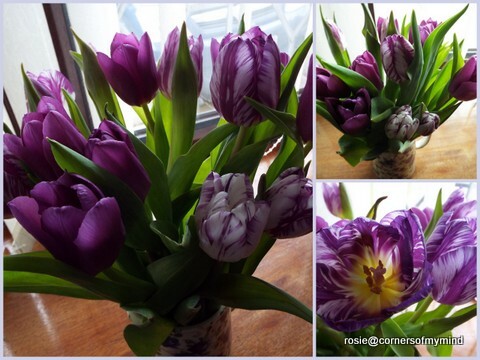 At home I've been entranced by these lovely tulips bought from a local greengrocer's shop. Two bunches £1 each of the same purple colour one plain, one variegated. Together they look wonderful and so bright and cheerful on these grey, blustery days. In the windowsill, next to the tulips the hyacinths I bought over a week ago have suddenly burst into flower, well two of them have, the third is getting there. They are such a pale, delicate pink, I haven't noticed a scent from them yet but I'm sure I will soon as the chair where I sit in the evenings to read or watch television is right next to them. On our walk around the lake at Trentham Gardens we spotted a Little Egret hiding in the rushes under the overhanging trees at the side of the water. It's soft white feathers were glistening in the sun. They looked like a gentle cascade of soft, powdery snow. I've been reading quite a lot but have to take a break after a while as my eyes get blurry and tired. 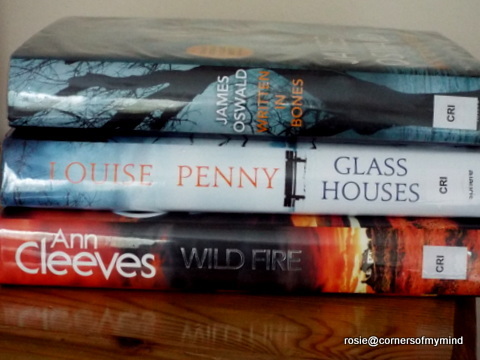 I enjoyed the latest and last of the Shetland series by Ann Cleeves. It had a satisfying ending. Once I start one of her books I can't put them down as she writes so well. I also enjoyed the James Oswald Inspector Tony McLean book set in and around Edinburgh, it didn't seem as 'other worldly' as the first of his novels I read. I've just started the Louise Penny novel, the second of the Armand Gamache series I've read but it's an earlier one. That means I'm not reading them in sequence as I usually like to do with an author's series but I'm enjoying them all the same. I've also been reading a book written by a blogging friend. She's a Yorkshire girl who now lives in Canada and this is her story about the year she and her husband moved from Ontario to Prince Edward Island. She starts with her account of their actual move and the miles they travelled over several days hauling their belongings with them and their settling into their new community. The main story starts in September and takes us through their first year of getting used to and integrating with their new neighbourhood, through all the worst weather that could have been experienced in one year making even the most normal everyday things become problematic. I learnt many things about the culture, history and natural history of Prince Edward Island and it was fascinating. 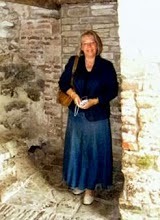 Here are links to her blog Candytuft Corner and her Goodreads page. Lastly, when we were walking around the lake I saw loads of Hellebores growing under the trees. They are so pretty, I'd love to have some in our garden. That's something to think about for the future. We have bought several packets of vegetable seeds, mainly lettuce, tomato and spinach plus three varieties of seed potatoes too ready for sowing or planting when the weather gets warmer. Those tulips are a welcome sight to see! Lovely post Rosie. Is seeing an egret unusual? We have cattle egret here in West Gippsland, which frequent the paddocks where the cows graze. 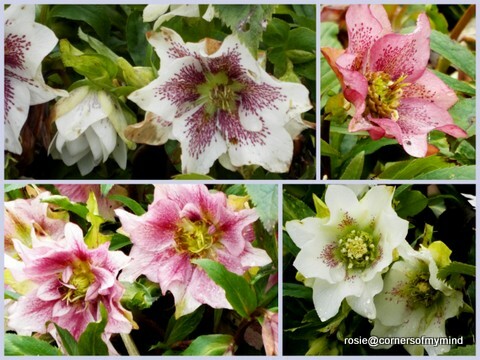 I too love hellebore & have one that is really dark, a sort of inky pink. There are so many different colours to choose from. Take care & keep warm. It is really interesting to see the picture of the Little Egret. It is astonishing that this species was a real rarity in the UK just a few short years ago, and now it is commonplace, soon to be followed by Great Egret, I predict - and watch for Cattle Egret too! Such beautiful flowers, you have had the joy to see. Interesting that you are reading Inspector Gamache books, not in order. I prefer in order, since the other characters are "fleshed out," along the way. To not read in order, for me, would take away from the whole flow. The tulips are beautiful, but those hellebores are just stunning. Fabulous flowers and that beautiful Little Egret! Well spotted. I enjoy James Oswald's writing, I have to slow myself down when i am reading them, I want to make them last. Such vibrant tulips, that are stunners. I have a white hyacinth which has just had a second flower. The result has prolonged the enjoyment of planting and growing it. Your tulips are a gorgeous colour. I keep any bunch I get to the very last as they look lovely and interesting at every stage. How nice to see the egret and the also the hellebores when you went for a walk recently. Those tulips are a beautiful colour. A treat to see the egret too! As usual, I'm waiting for that James Oswald book to come out in paperback so I can read it! I really like his books, it's just a shame some of them are a bit heavy on the supernatural, they're much better without it!